We are currently spending a lot of time in creating new designs for our growing collection of free Magazine WordPress themes. Say Hello to Beetle and Gridbox, the two newest themes in the ThemeZee family. 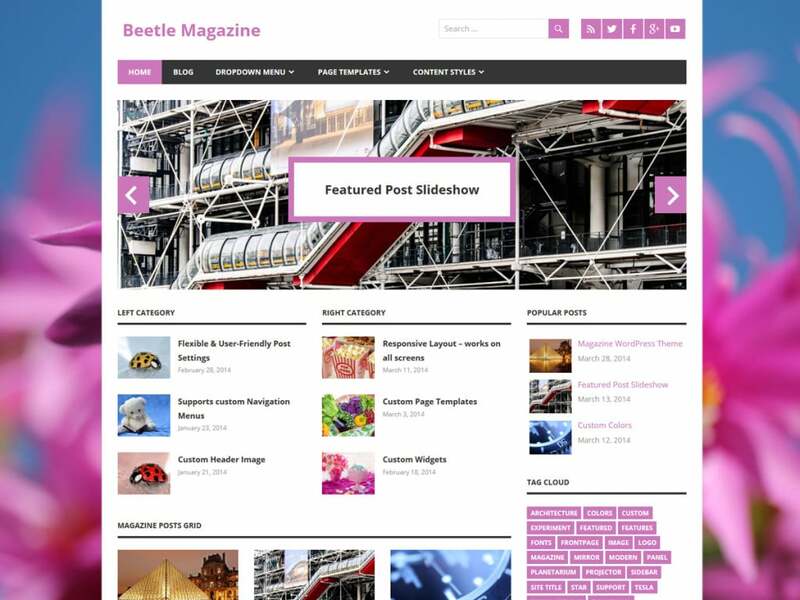 Beetle is a fast & elegant Lifestyle Magazine WordPress theme. It comes with a clean typography, subtle colors and works great with strong pictures. 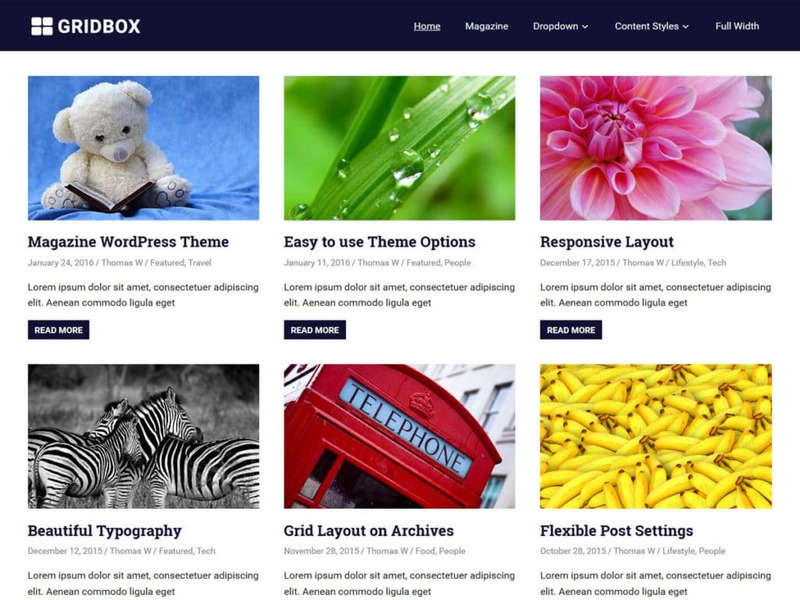 Gridbox is a clean and solid WordPress theme featuring a three-column grid-layout for posts. The theme works out of the box and does not require any complicated setup.